Solar and lunar eclipses are spectacular phenomena which captivate people around the world, but what causes them? A lunar eclipse occurs when the Earth blocks sunlight from reaching the Moon. 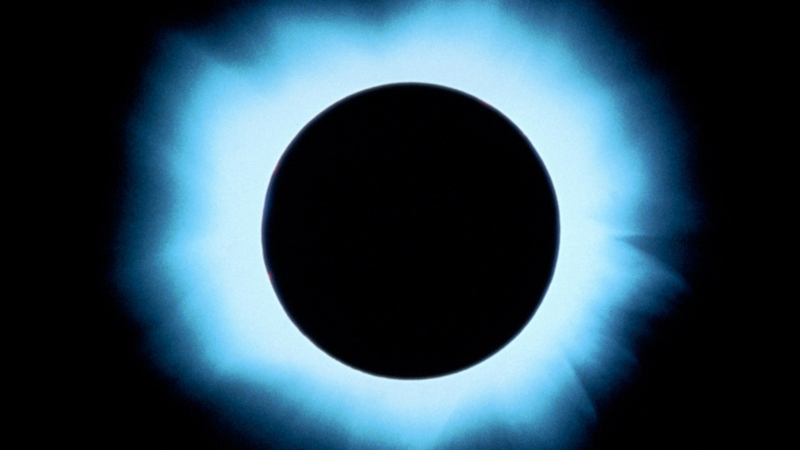 A solar eclipse occurs when the Moon blocks out the Sun's light. Solar eclipses should not be looked at without protective eyewear. Lunar and solar eclipses usually occur once every 18 months. The Sun is about 400 times further away from us than the Moon, and it's also about 400 times bigger than the Moon. This strange cosmic coincidence means that both appear the same size in our sky, and is also the reason we get lunar and solar eclipses.